The off-strip Platinum Hotel and Spa features spacious one and two-bedroom suites, offering everything you'll need for a comfortable stay in Las Vegas. This non-gaming and non-smoking all-suite Vegas resort presents a relaxing atmosphere with views of the Strip and mountains; the Strip is 1.5 blocks away; the Las Vegas Convention Center is less than 2 miles. Modern, sleek decor welcomes guests seeking serenity and spa treatments. Wireless Internet access is available throughout The Platinum Hotel. Meeting rooms accommodate small to medium-sized groups. 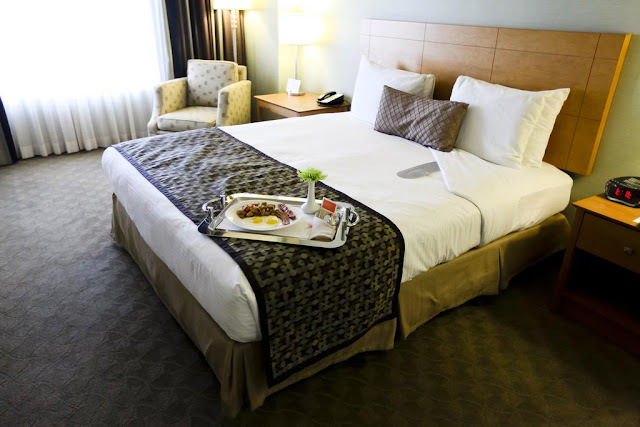 The Platinum Hotel offers suites of 950-1150 square feet with bedrooms, kitchens, and living areas with 42-inch plasma TVs. Bathrooms have deep-soaking tubs.